If you have quite a few plantation in your backyard or garden that requires watering but you are finding it difficult to keep up with the water requirement and the sprinkling systems offered in your area costs you quite a fortune in terms of annual water bills then the Droplet watering robot will come to the rescue. The Droplet is a precision watering solution that knows exactly how much water your plantation, grass or trees need. It can be programmed and maintained via smartphones, tablets or computers. It has access to weather data, soil data and also keeps tracks of recent and current changing weathers to incorporating in its watering schedule. Video of Droplets show a quick demo how it is supposed to save your time and some money as well. 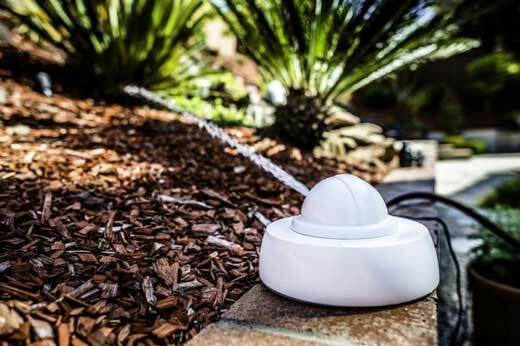 The Droplet robot sprinkler is currently on pre-order at Amazon for $299 only (see details).